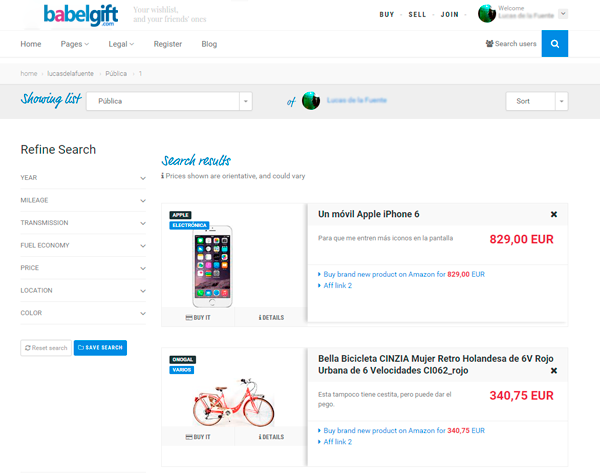 Babelgift is a social network for presents, where you can add desired gifts to your lists, and your friends and parents can select what to gift you, avoiding people receiving bad presents, and also helping people to know what to gift others. How many times have you heard: “I don’t know what to buy to my mother”, “Does my father has this book already ?”, “What can we gift our friend with ?”. This page will make it easy to know. Also, how many times have you thought, when someone buy a gift for you: “What the hell is this ?”. We hope these problems won’t exist in the future, helping people to be happy with their presents, and easing the task of gifting others. Of course not. 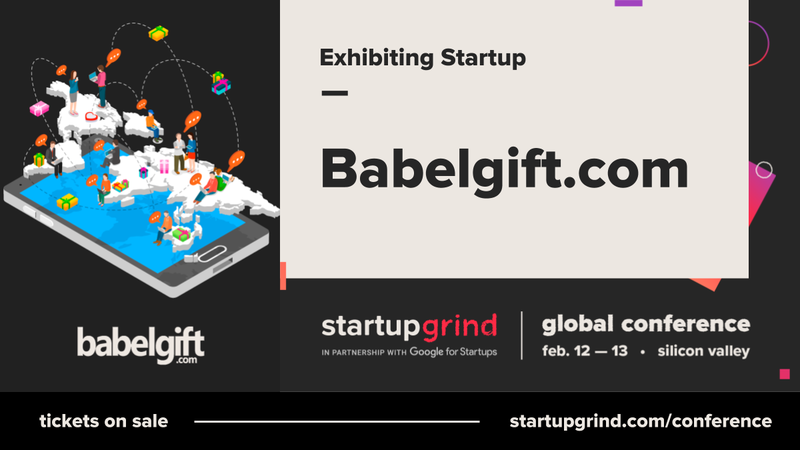 Babelgift acts as an encounter point for you and your network in all the matters related to presents, from collaborative gifts to wedding gift lists, etc. 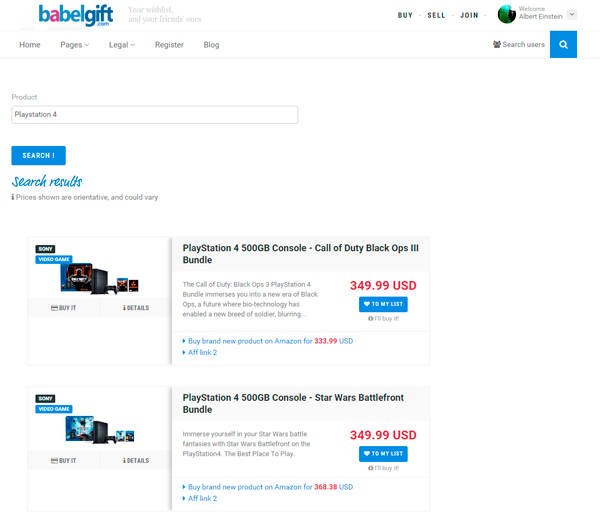 The basic usage is to search for gifts in our page ( from many providers like Amazon, eBay or local stores ) and add desired ones to your public or private list. You can also search for friends in the page, as in other social networks. Finally, these friends can see and reserve one, avoiding two people buying the same item for you, or even worst, receiving bad gifts, or something you already have. What about collaborative gifts ? As in other social networks, you can create groups and invite your friends. Then that groups can be used to create a list of gifts for a single group member ( or more ), easing the process of selecting presents for a friend, or a couple. The receivers of the gift will not be notified about this list, so you can share ideas, gifts, etc with the other members of the group without your friend/s being notified. This feature can be used to handle gifts you are going to buy in group, for many different purposses: when someone leaves a job, in the birthday of a friend, for your parents in their wedding anniversary, and so on. This page will also help remembering dates, calculating the money each member of the group has to put to buy the presents, and acting as a meeting point for people to talk about the event. That’s cool, you can have public and private lists, and private ones are only visible for those you’ve accepted as friends in this page. All the other people won’t see your list, even if they are your friends on Facebook and you’ve registered on Babelgift through it. At the beginning, you have two lists: One private and one public. But you can add as many as you want ( i.e: for special events ) configuring them as public or private as you like. So you don’t need to share your wishlist if you don’t like it, but normally it’s preferable, as people not in your friends’ list can choose a better gift for you if they can see a list. But, It’s not like killing the emotion and surprise ? Well, everyone is free to make a more personal present, if they prefer. It depends. But you can know the kind of presents someone would want, and that’s an advantage. Appart from that, there are a lot of situations where you will like to know exactly what someone needs or love, and having a wishlist is helping others to gift you with more accurated presents. Sounds amazing, what do I need to use this page ? Nothing special, you can register as in any other website, or even easier, enter with your facebook account. We hope you enjoy our page, and start adding gifts to your wishlist now !